Besides Wednesdays and our Woman Crushes, Friday is my next favorite day because of the F-cubed (Foodie Fieldtrip Friday). I love to go on gourmet archeological digs looking for anything and everything that has to do with food! Because it’s the first Friday since I arrived in America, I thought what would be the most iconic foodie fieldtrip to take? 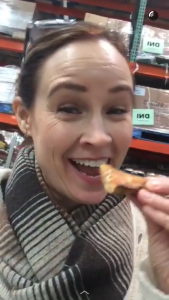 And of course a visit to Costco Wholesale Market seemed like the best thing to do. 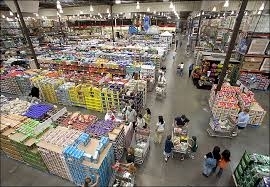 A super sized warehouse filled with food and more! Just a few short weeks ago, we were in Copenhagen eating at the two Michelin Stars restaurant Geranium. But the cool thing about these little culinary expeditions is to see all sides of the food world. 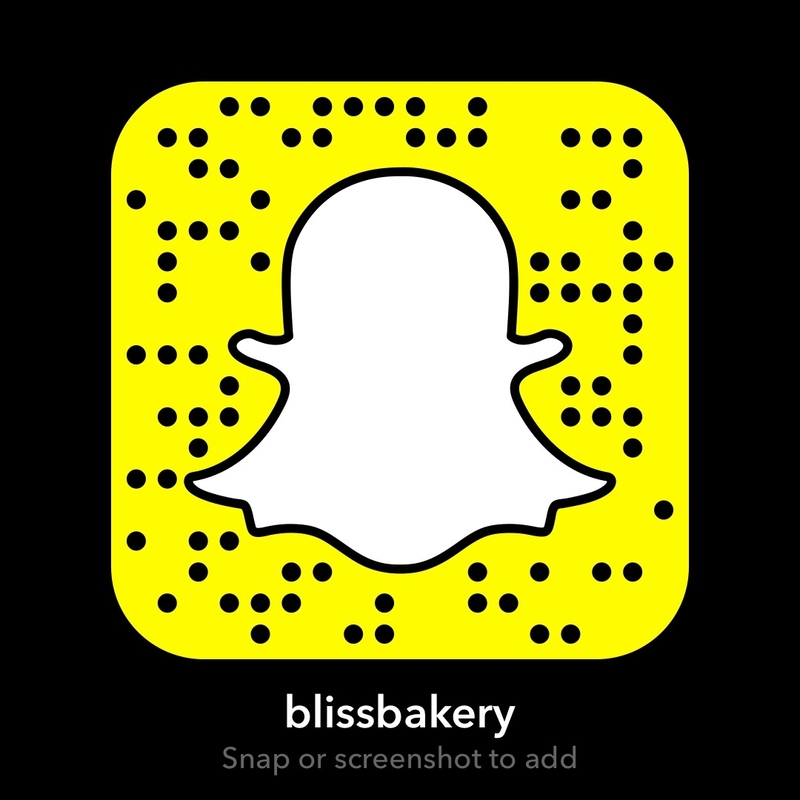 And of course I brought along my snapchat friends (username: blissbakery). But the best accompaniments for this journey were my girls! Heather, Harper and Hope joined along for our big adventure. 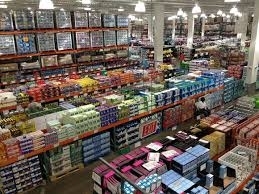 Costco opened its first warehouse in Seattle, Washington in 1983, but the birth of warehouse shopping began in 1976 in San Diego, California. 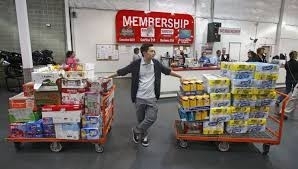 Price Club, as it was known, eventually merged with Costco in 1993, and this new company has grown to 689 warehouses around the world! 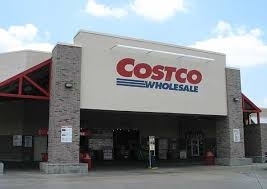 Although primarily in the United States and Canada, you can now find a Costco in places such as Spain and Japan! The business model is pretty simple, low prices on high volume of products, usually bulk packed, which suit a large family or business. And with a mandatory yearly membership fee, there is built in customer loyalty. 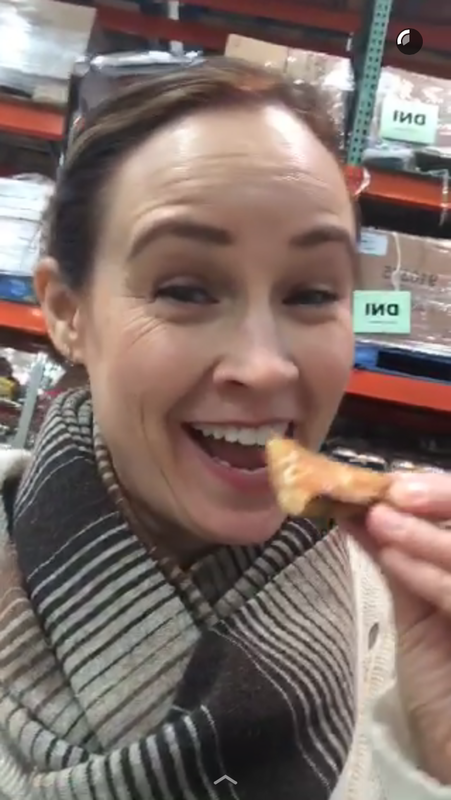 Though this was a foodie fieldtrip, I couldn’t help but share a bit about the other aspects of Costco. 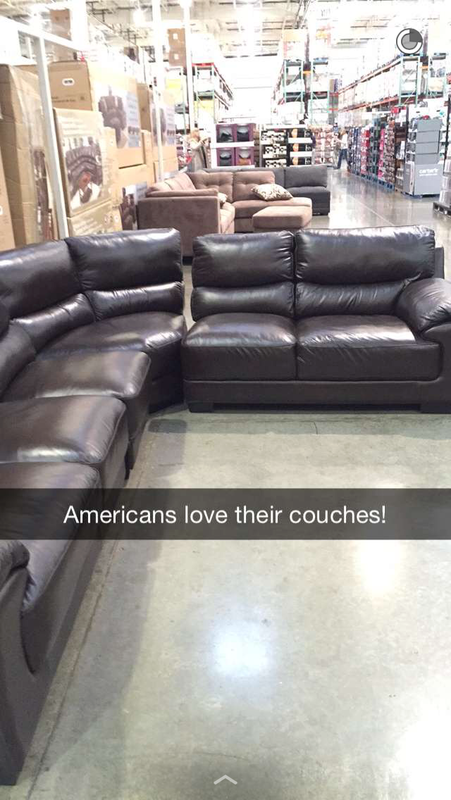 They sell everything from clothes, books, electronics, furniture, exercise equipment and even tires. Having a party? No problem, they’ve got the food, drink, ice and a place for your guests to sit to go with it all! Their ethos is simple, ” Costco is known for offering low-price, limited-selection ‘retail treasure hunts’, where ‘one’s shopping cart could contain a $50,000 diamond ring resting on top of a 64-ounce vat of mayonnaise. '” That is a funny visual! So long as the ring doesn’t fall into the vat of mayo! And of course my fav juxtaposition was the exercise equipment for sale next to the ginormous food area! But with all the tasty samples of food offered, we might need to burn off a few calories! 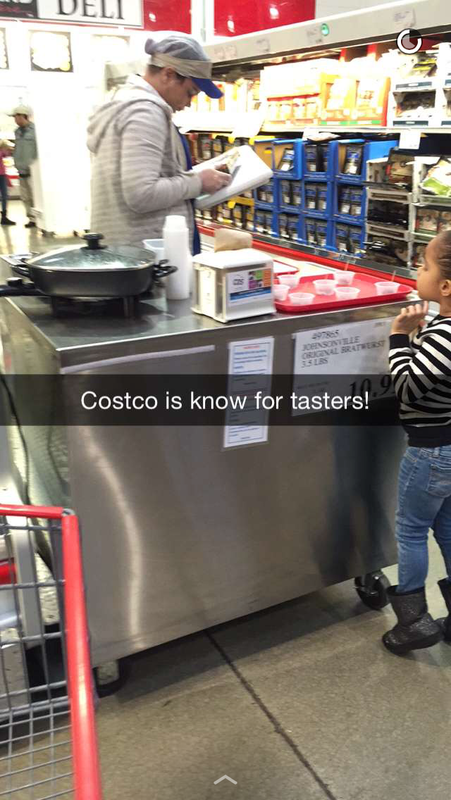 My granddaughter on her tippy toes to see what is on tasting today at Costco! The vastness of the food area cannot be emphasized. But what is brilliant is that to prevent overwhelm (as in, so many choices where does one start) they offer tasters of everything! Literally you could go in at noontime and leave not needing to eat your own packed brown bag lunch! But there is a method behind the madness. 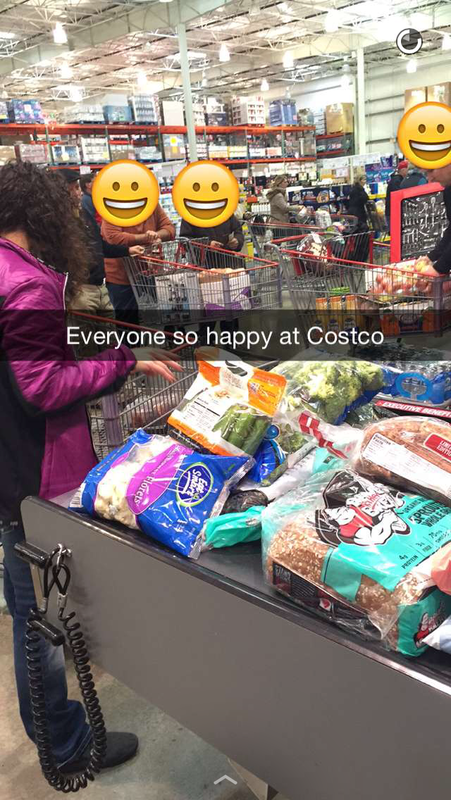 This article in the Atlantic spells out the psychology behind Costco’s food offerings. Having managed a gourmet fresh food store in Dublin for a number of years, I was all about tasters. 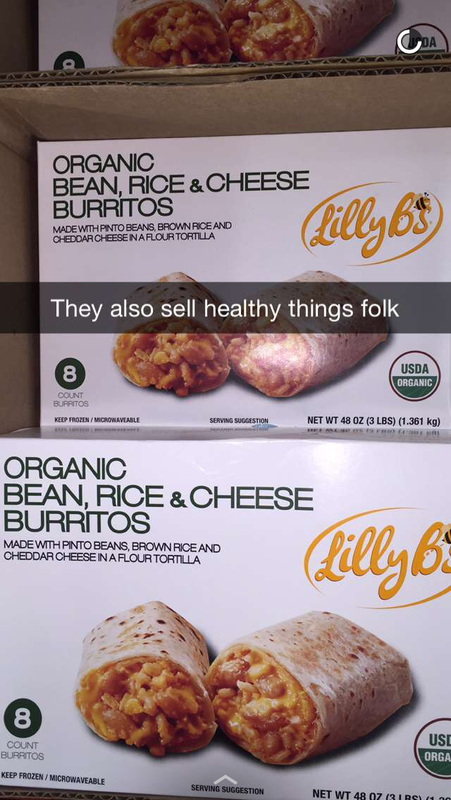 While mine were fancier than Costco’s, I remember the “tasting culture” as we called it in work. It makes a difference to sales to offer product demonstration (free samples) as there can be as much as a 2000% boost in sales! YUM! Perfect example, on our little Foodie Fieldtrip Friday, I walked out buying a loaf of bread I didn’t need, but couldn’t live without! 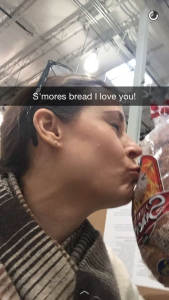 S’Mores Bread!!!!! They carry ethnic foods, special dietary foods (such as gluten free), and my fav, they carry some key Irish brands like Guinness and Kerrygold! 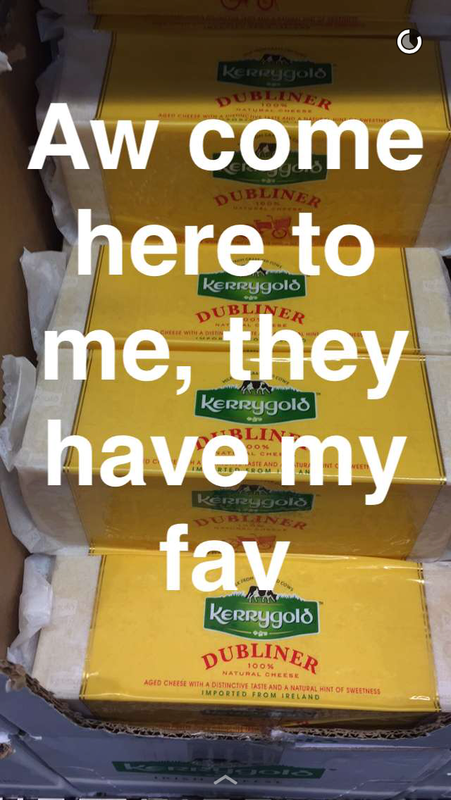 As you know from my story on here before, I love my Kerrygold butter! 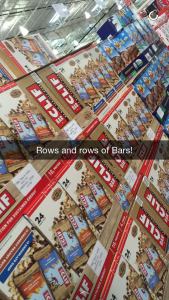 And my Hubby is addicted to all kinds of bars as meal replacement. 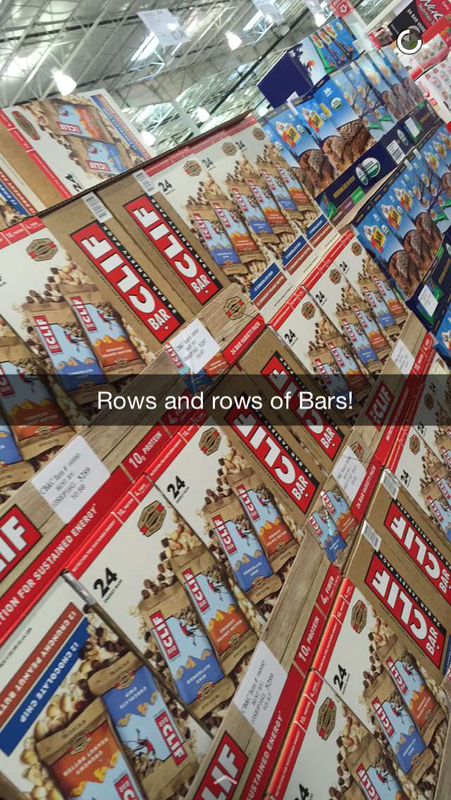 At Costco, you can get a year supply in one trip! With all the goodies you end up getting, you kinda need a super sized shopping cart! Or you can opt for a flatbed dolly/trolly! Which makes getting in line at the cash registers (tills) a bit tricky, but with all those tasters no one complains. Their blood sugar levels are all good and most folks just chill out! 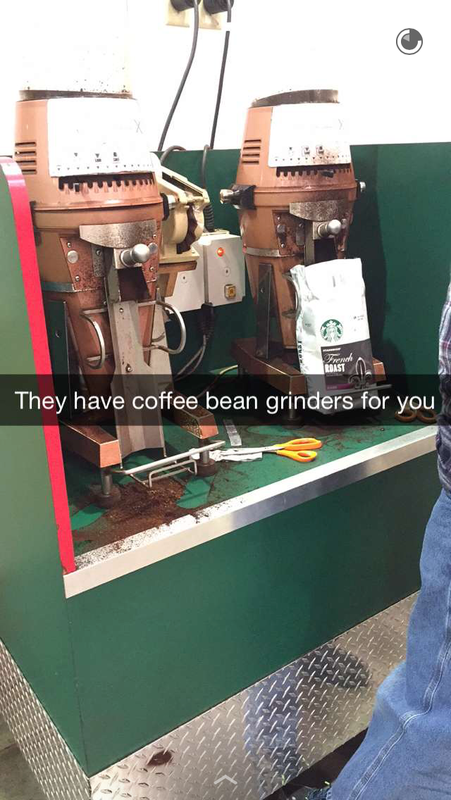 And if you buy ginormous bags of coffee beans, they offer grinders just past the check out counters. Good thinking Costco! While this kind of shopping isn’t for everyone, it is fascinating to see what it is all about. 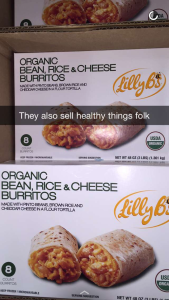 For families, it can be a real savings to stock up on these large bulk items. Because Costco doesn’t spend loads on fancy displays (everything comes in on wooden pallets and that is how they are displayed) that gets passed on to the customers in lower prices. As well, Costco is meant to be one of the best places to work compared to other giant discount chains (I’m not naming names) as 85% of their workers do have health insurance and earn a much better wage. 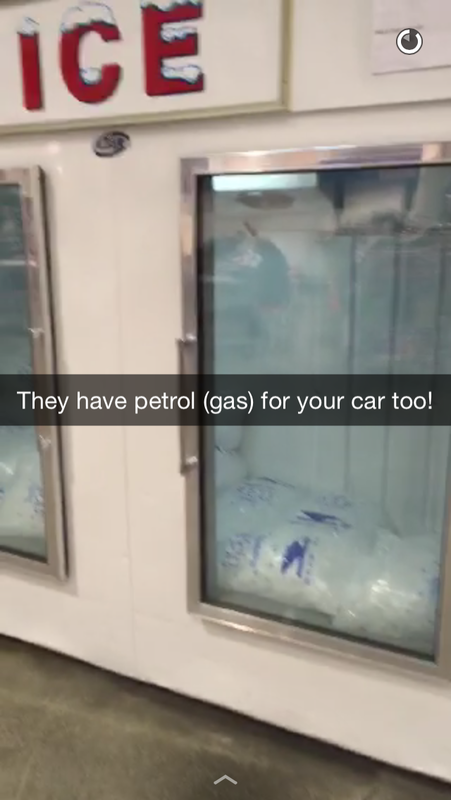 But even a household of only two people such as my aunt and uncle can benefit from Costco by purchasing the gas/petrol for their cars, buying a new computer or even getting a quick bite to eat at their little cafe. If you like hot dogs like they do, who could pass up a giant one (with a drink) for only $1.50? While the American stereotype of Supersize isn’t always the most glamorous or flattering, in the case of Costco, I think it is awesome! It was really fun to explore from a different vantage point having lived abroad now for the past eight years. 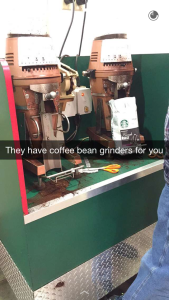 And from the looks of the comments I received from my snapchat followers, they enjoyed it too!